From user interviews to usability tests, qualitative research can get messy, especially when you rely solely on notepads and Post-it notes. 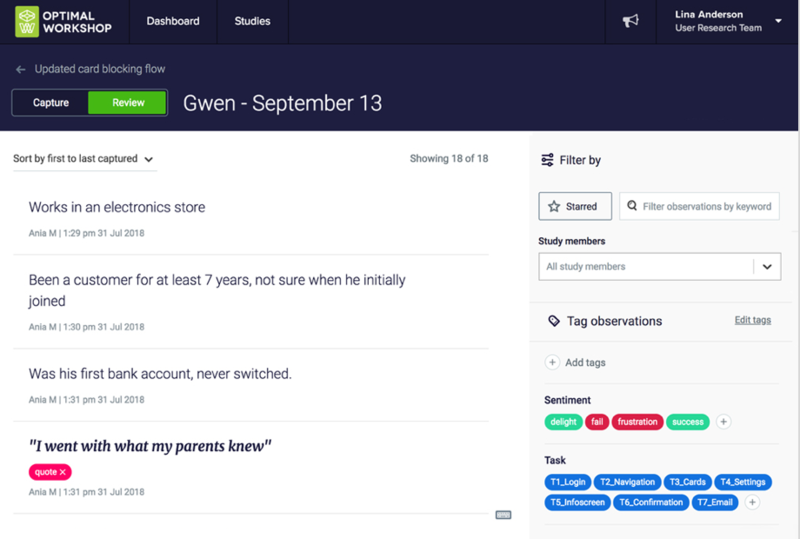 Reframer is your team’s new qualitative research sidekick that makes the process quicker and easier, giving you results in no time. Set research objectives with your team and make sure everyone has what they need to get the study underway. Note down what your participants are thinking, feeling and doing during sessions, or import existing research to analyze later. Make sure the data that you and your other team members captured is tidy, tagged and ready for analysis. Cut to the chase and spot themes in minutes. 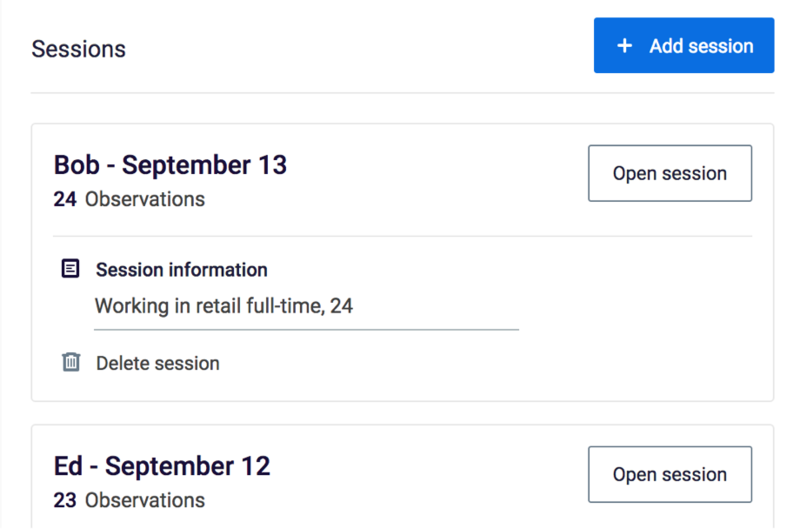 Get to insights from user tests and interviews quickly through our easy-to-use analysis. 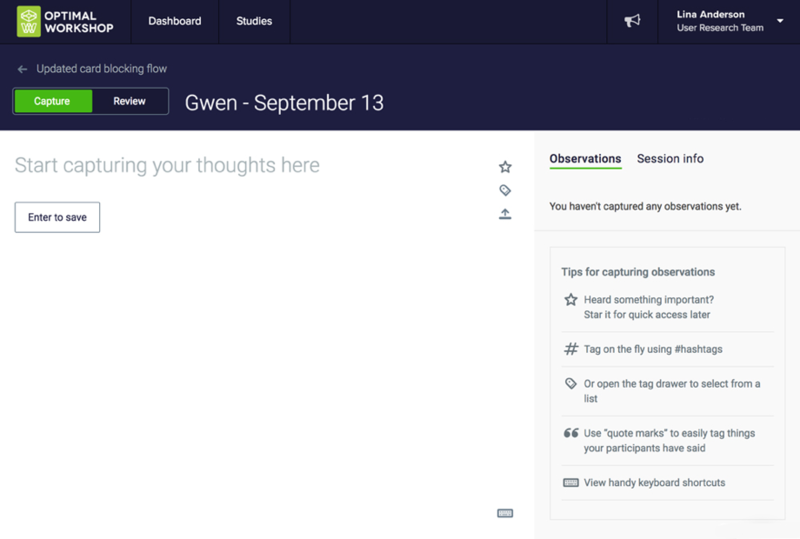 It’s easy for you and your notetakers to capture qualitative research observations straight into Reframer during user tests or interviews. With a distraction free environment, you can focus on what’s important — your participants. 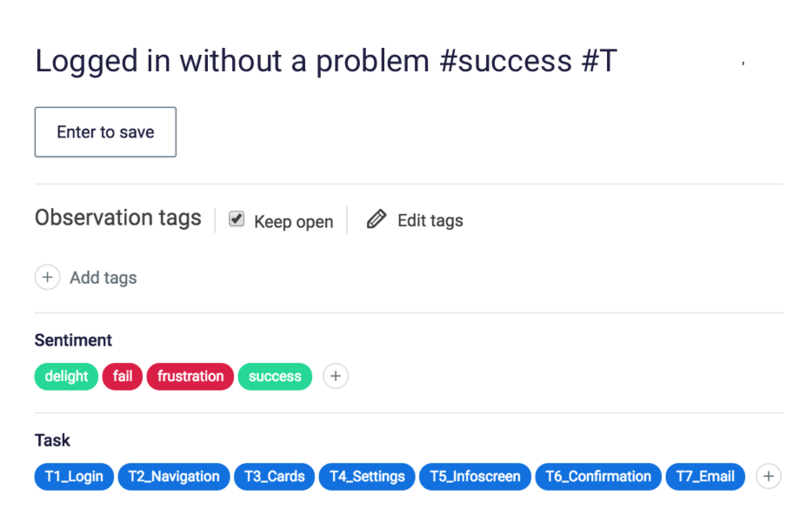 #Hashtag as you note down observations to make discovering patterns and trends a breeze, or leave that until you review your data later. 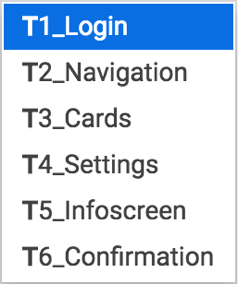 Use the tag drawer to quickly select from your existing tags. Capture a quote and we’ll automatically tag it for you too. Create an understanding of your customers across stakeholders and business units by getting other team members involved with research. At the end of research sessions, look through the data you and your team captured to make sure it’s in great shape so you can analyze it together. No need for scribbly notebooks and Post-its here — Reframer does all the hard work for you. 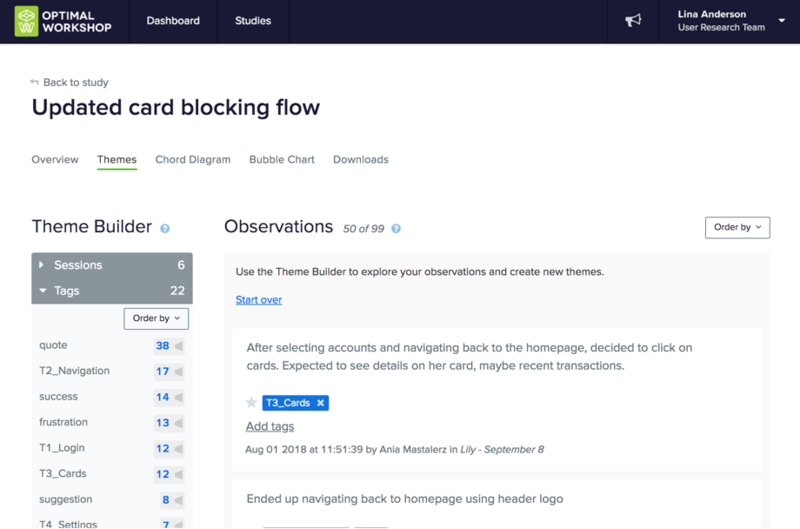 Use the theme builder to group together and create themes to pull out insights from your findings. Chord diagrams show you relationships between all your tagged observations, allowing you to spot themes at a glance. Keep all your research in one place for better traceability and visibility later. You can import existing research into Reframer to make analysis easy, or export the data you captured in Reframer elsewhere.